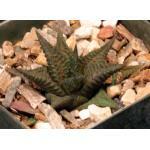 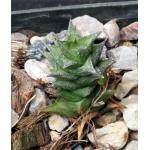 We have quite a few Haworthia cymbiformis with variegation on the leaves. 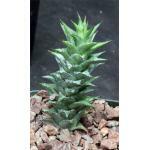 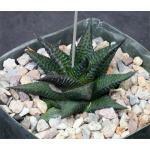 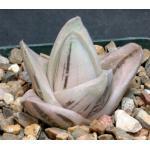 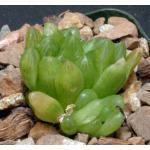 This is a poorly known variant of Haworthia cymbiformis but is strikingly variegated and highly variable. 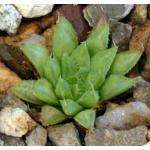 It offsets profusely. 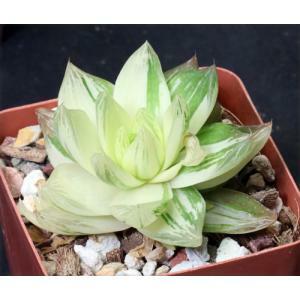 These plants are rooted offsets in 4-inch pots.